For Hispanic Heritage Month, Deacon Jim Vargas shares his insights on the influence of Hispanic heritage in the United States. 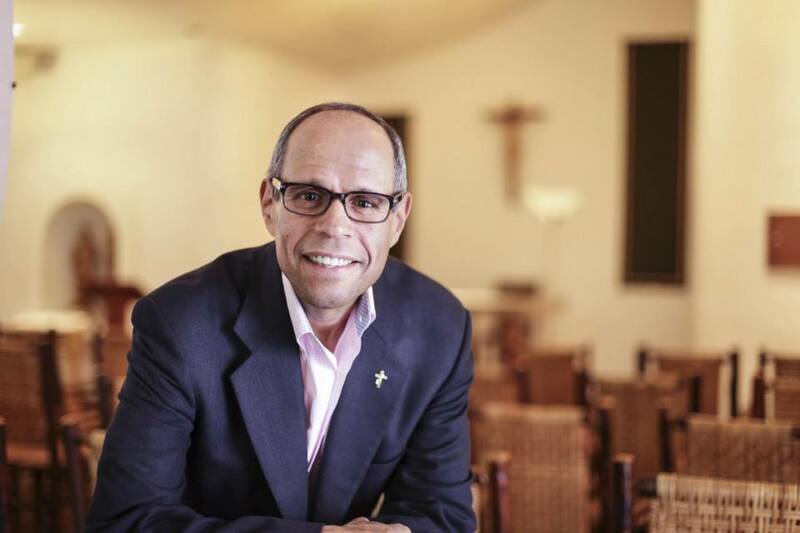 Deacon Jim Vargas is first-generation Hispanic American. His parents both separately emigrated from Puerto Rico in the early 50’s looking for the American dream and better opportunities. They later met and married in Manhattan to build a life and begin their family. We interviewed Deacon Jim about the importance and influence of Hispanic heritage and why we should all celebrate Hispanic Heritage Month. Why is Hispanic heritage important to you? There’s a long history here in North America, even before the founding of our country in 1776, that has Hispanic influence—especially here in California. This includes the influence of the Spanish explorers and the missionaries, who came over to various parts of North America. There’s a long history of that culture—that heritage—being a part of the fabric of this continent and also a part of our great country since its beginnings. And [their influence has] only increased. We have people from all fields, via entertainment, via sciences, via politics, via medicine, via education. That influence of great thinkers—Latino and Hispanic thinkers—has been very prominent in this country. We have a rich history in the United States of Hispanic heritage. I think we need to recognize the accomplishments and contributions of those who have come before us and are currently making contributions here in this great nation. More importantly, we need to make sure that we nurture and we grow those bright Latino minds so that they can, in turn and in the years to come, make a positive difference in our nation—in all fields and all walks of life. Here in California we have organized labor due to [Cesar] Chavez. The critical significance that he made—one poor individual who saw a wrong being perpetrated and wanted to right it, correct it and achieve justice—that’s just one example of the influence that Hispanics have had in this nation, particularly here in California. How does Hispanic heritage influence your work at Father Joe’s Villages? I was born here—I’m first generation here, so I’m very Americanized. I did all my schooling here and this is where my life has been. Yet, I very much identify myself as a Latino in culture, my ancestry and I’m very cognizant of from where I’ve come—especially since it was from very humble beginnings. As far as my work here at Father Joe’s Villages, I know that [the people we serve] are individuals—some of whom who are Hispanic, others who are not—who all share the common factor of homelessness. My Latino roots and my Catholic faith bring me to recognize that “there before the Grace of God go I.” I’m very blessed in my life and I need, in turn, to make a difference here at Father Joe’s Villages: to put my talents and experiences to work for the greater good, so that our clients can go forward to have a better life and their children can as well. What special point of view has your Hispanic heritage given you? As a minority, I’ve had many opportunities—this great country of ours has afforded me many opportunities: be it educational opportunities, work opportunities—and yet I recognize that is not the case for everyone in a minority situation. And in terms of Father Joe’s Villages, those who are homeless are also a minority (if you think about it not only in San Diego but in our country as a whole). As a result, I think I can relate to them as a minority and [the experience of] having difficulty, as minorities do sometimes, to establish themselves. This also applies to people who are homeless in that they’re stigmatized, they’re judged in a certain way. It’s about knowing that they too have potential as long as they have the opportunity extended to them; They can realize it with the tools and support that they need.